Routine Care cover reimburses you for the regular exams and preventive treatments on your pet’s needs to stay them healthy. We also know that life gets rough at times, but we really don’t want your vet bills to be so we encourage you to take proactive petcare – this means taking care of the risks before they become an issue, such as vaccinating your dog or cat against diseases. And with Routine Care Cover, you really are enabled to safeguard your pet. This includes vaccinations, teeth cleaning, dental illness treatment and heartworm control. You can take care of your pet’s daily needs and keep them chomping on their favorite treats when you add Routine Care cover to your Major Medical policy. That’s sure to keep you and your pet smiling! Pet owners know the importance of establishing dynamic human-animal relationships that positively impact your pet’s development – this is why we cover obedience training and bbehavioral therapy. Puppies and kittens need guidance to become clever life-long companions to their owners. Just like humans, animals are prone to various medical conditions, including peculiar dietary requirements. With Routine Care cover your pet can enjoy a prescription diet or nutritional supplements that are only available from vets. Providing your pet with the nutrition that they need – can reduce other illnesses from developing in the future. Sometimes pets need more than just a vaccine shot to recover from their ailments. Reiki, massage therapy, acupuncture and chiropractic care are just some of the alternative methods that your pet may be prescribed by their vet. We believe in providing your pet with all the opportunities that will better their health. 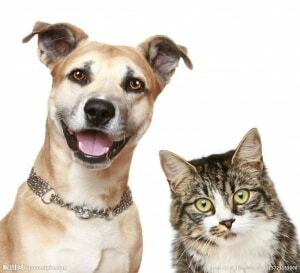 Council registration fees and microchipping have not been forgotten in our pet insurance plan. Handle legal requirements without a concern for expenses with our Routine Care cover. You don’t want to get in trouble with the law so remember to check if it is mandatory to microchip your pet in your state. Even if it isn’t, this small electronic identifier is such a great invention. It can help you reunite with your pet in case they ever get lost. This is definitely one of the most significant surgical procedures that a pet may endure in their lifespan, but it can greatly affect their health if it is not undertaken. Sterilisation can reduce potential life-threatening but common infections in female pets, it can aid in controlling dominance in male pets and stop un-wanted pregnancies that can lead to stray animals. This procedure can be an advantage to you and your pet. On top of our standard cover, you’ll get extra benefits that cover in case your furry friend passes. We cover cremations and/or burials. We know that these hard times can be heartbreaking and the last thing you want to be worrying about is expenditures. We want to be your helping hand in difficult situations. Protect your furry friend from rabies, distemper, infectious hepatitis, feline leukemia and other diseases that could cause your pet unrest. Stay on top of any health issues by regularly visiting your vet and ensuring that your cats and dogs are well. Heartworm, flea, tick and worm control. Ensure that your pet avoids unnecessary stress by preventing parasite infestations. Keep them healthy and happy by avoiding this bothersome problem. Our Routine Care cover is simple to understand, we offer your benefits that truly protect you and your pet. We reimburse you quickly and efficiently. You can count on us to help with it comes to reducing the stress of caring for a sick furry friend. Our promise is to provide you and your pet with the option for affordable pet-care. We are really grateful to our pet-passionate customers and hope to satisfy your needs now and in the future. So don’t hesitate, insure your furry friend today. Routine Care cover provides a peace of mind. A tailored policy will help you make sure your beloved dog or cat gets the best possible care when they need it – without worrying about how you will afford the bill. We even offer numerous payment-plans so that you are not strained about costs. To us, it is more important that you and your pet are enjoying your companionship to the fullest. But we’ll now continue explaining our awesome Routine Care cover, so you can just see for yourself how valuable this plan could be for you and your pet. Depending on the additional plan that you choose, you can gain benefits of $50 to $100 on eligible vet bills when your cat or dog receives treatment from a licensed, registered vet in Australia. Simply keep a copy of your paperwork and then place your claim online using our simple to fill the form. With $0 excess on all claims! You can also get up to 80% of covered costs with the routine care cover, depending on the treatment and provider that you have chosen. Best of all – we aim to process most claims up to 5 days and have funds in your account within days. We aren’t fond of waiting for ourselves to get reimbursements for any medical treatment – so we wouldn’t want to make our customers wait. Our goal is to really protect you and your pet during all your (mis)adventures, whether they be small or vast. Got a question about your puppy? Or a question about puppy insurance? Let us know!